Happy Flash Friday, how’s your head? Well that’s not quite right. It isn’t Flash Friday or Hangover Thursday and yet today is going to be like the two regular columns are combined on the wrong day. In my defense this was going to run yesterday, but I felt Friday’s news was important enough to put off everything else. So what topic could bring the two together? Flash bar glasses! First up is something I’m really excited about. Shot glasses! I love shot glasses. Even after losing a couple brave souls to party mishaps, I have a lot of shot glasses. I do own an unlicensed Flash shot glass with his symbol etched into the glass. 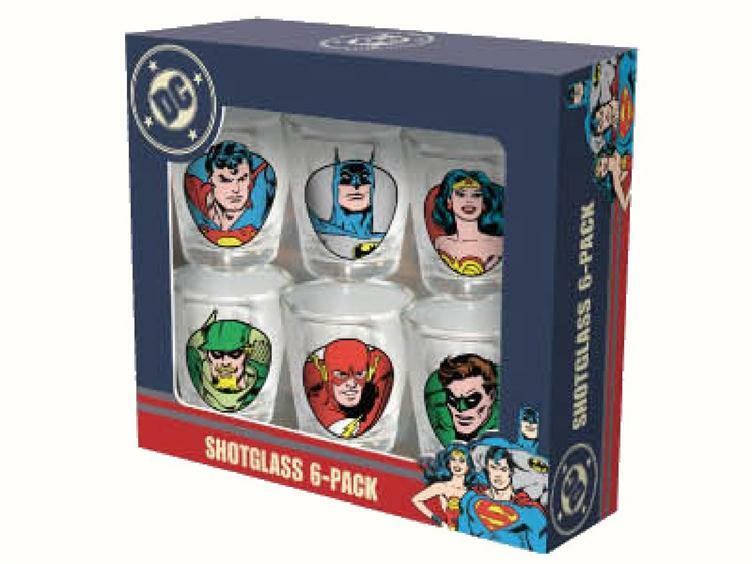 Now I can pick up the Justice League six pack and get a shot glass with a picture of the Flash. And it’s 100% official merchandise too! Superman, Batman, Wonder Woman, Green Lantern, and Green Arrow are also in the set. How often do you see Green Arrow stuff? That is pretty cool. Shots are pretty fun. What’s better then shots? Drop shots! So we need some pint glasses. How about this set of four pint glasses? 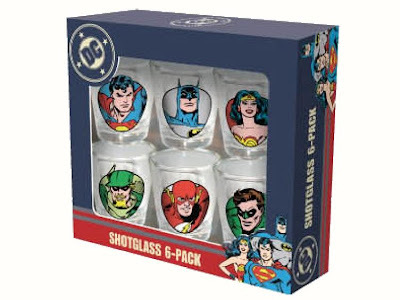 This is similar to the packaging I saw at Target recently, although those glasses had character artwork and didn’t include the Flash. This set is all symbols and logos. Even better, the Flash is included! 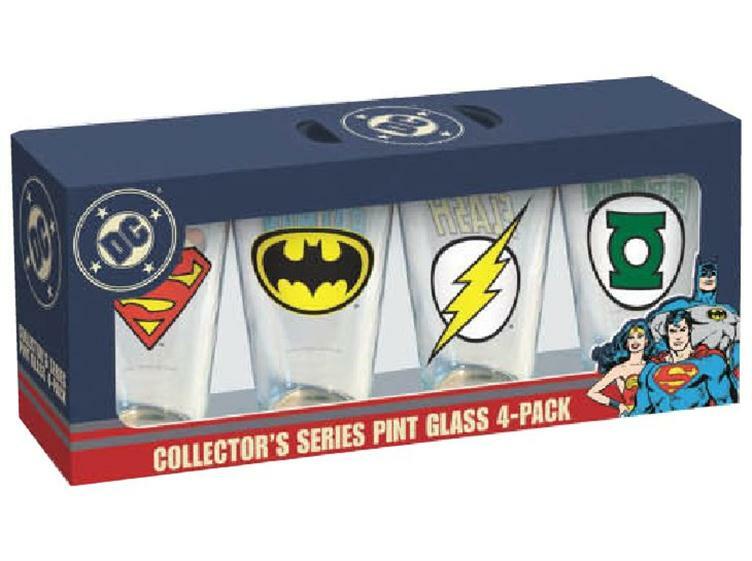 Superman, Batman, and Green Lantern are the others in this set. I find it funny that the packaging includes a picture of Wonder Woman but she doesn’t have a glass in this set. Since I’ve already talked about how I accidently became a collector of Flash glasses both of these set will have to be ordered. I wish the shot glasses were available individually though, I’d love to have one for display and one for use.